Welcome to the Sideways Spiral Quilts Blog! This blog is the online accompaniment to RaNae Merrill’s books Sideways Spiral Quilts: Design and Sew Chains, Ropes & Ribbons. You can buy Sideways Spiral Quilts on my store’s website, on CreateSpace, and on Amazon. In the book, my “spiromania” continues and this time I’m looking at spirals from a new angle –the side! 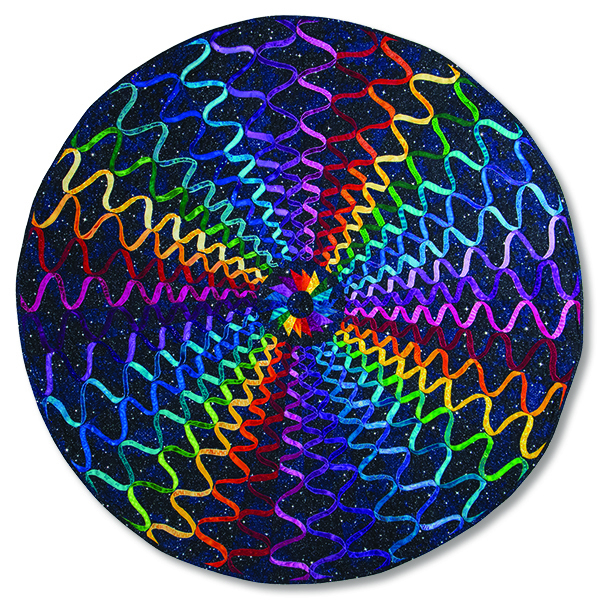 Picture ropes, licorice twists, DNA, even the thread you sew with – these are all spirals. Sideways Spiral Quilts explore ways to use ropes, chains and ribbons in quilt designs, and teach you how to easily draw and sew them. Make “charm bracelet” quilts, table runners and banners simply and quickly using fusible applique and bias tape. This blog began as the “laboratory” for the books. A few dozen adventurous quilters agreed to take the draft instructions, apply their imagination and skill, and create their own original quilts. This was the forum where we all shared ideas, asked questions, encouraged each other and celebrated the finished quilts. Each quilter has her or his own studio page where you can follow their progress from design to finished quilt. You might also want to do a search for that person’s name to pull up their posts. Also find here the downloadable resources referred to in the books. In case you are viewing this on a tablet and it does not allow you to see the right column, use this list below to access the pages. (My thanks to Nienke Smit for creating this list.) You might also try changing the resolution of the screen to allow the full page to display. I was looking at the entry information for International Quilt Festival Houston last night, and when I clicked on the link for “Modern Quilt Showcase” I got a wonderful surprise: Betsy Vinegrad’s quilt “Spare Change” which appears in Sideways Spiral Quilts, Book 1, is one of the lead images. Congratulations, Betsy! Sideways Spiral Quilts, Book 1: Chains & Ropes was sent off to the designer today. 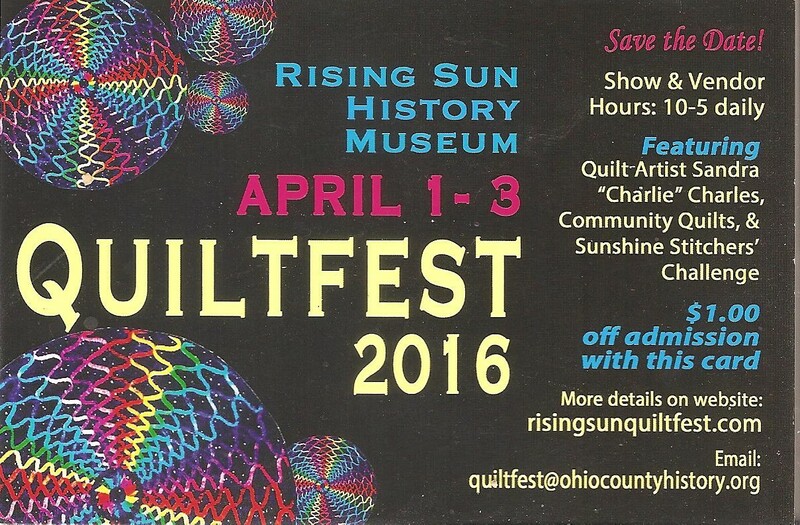 And I received an email from Linda Upp with this picture of the promotion for her local quilt show featuring the quilt she made for the book. Just had to share. Just got home from the Rising Sun show. My Spiral Mandala – Late Bloomers – got the Judges’ Choice Award!! Scrapbox Explosion got Honorable mention! And you started it all:) Thanks! Linda, I couldn’t be happier for you – and thanks for the fireworks! 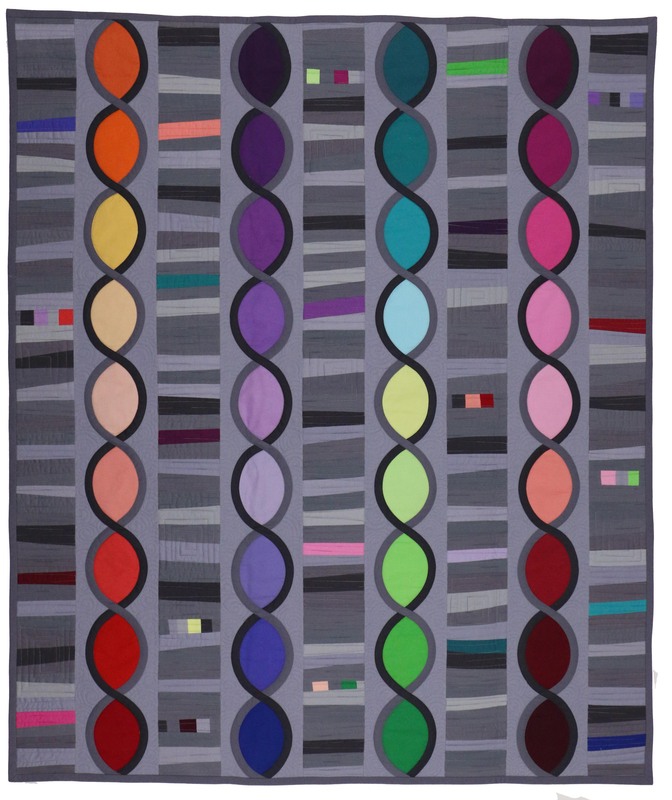 This is Betsy Vinegrad’s quilt Spare Change that she entered in QuiltCon 2015. It was accepted. Yay Betsy! Well, you know how some things just go spiraling out of control? This did — in a good way! While Betsy was at the show, she did a “Tell it at the Quilt Show” video interview about Spare Change with the American Alliance for Quilts. Fine…..
Then that interview popped up on The Quilt Show’s weekly blog. Click here to see the interview. What a wonderful surprise! Congratulations Betsy and thank you Alex and Ricky at The Quilt Show! 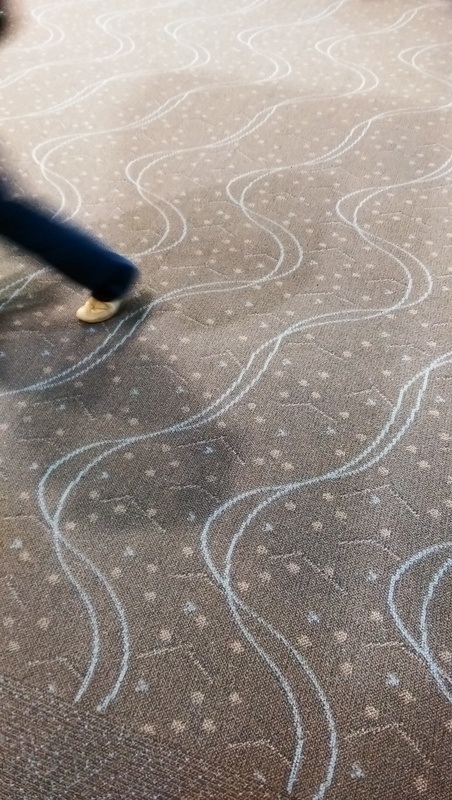 Hey everybody, look at the carpet in the Denver airport, terminal C. Recognize anything?